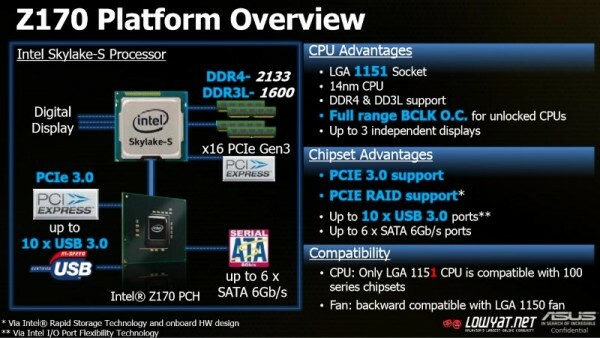 After much delay, Intel’s 6th generation Core processors which are also known via their codename Skylake are finally here (more on that shortly). 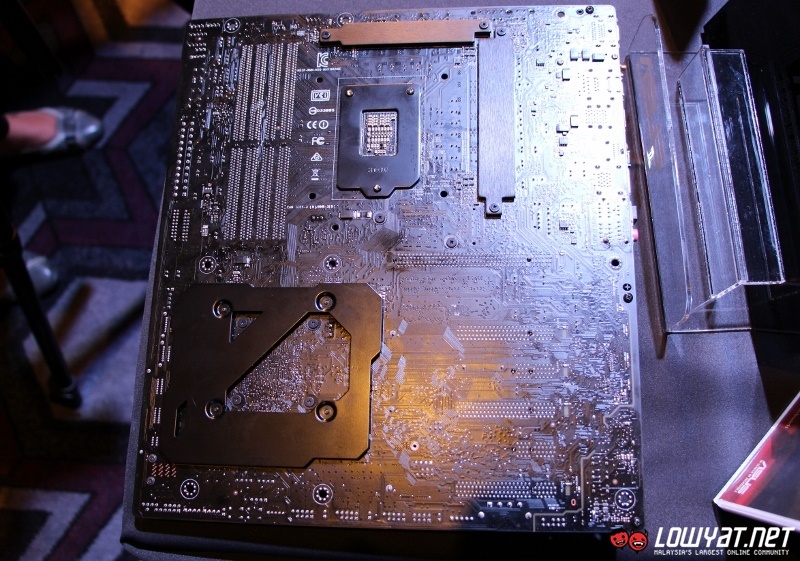 At the same time, Intel has announced the availability of the equally new Z170 chipset that are designed to support the first two Skylake chips – Core i7-6700K and Core i5-6600K – which are meant for enthusiasts. 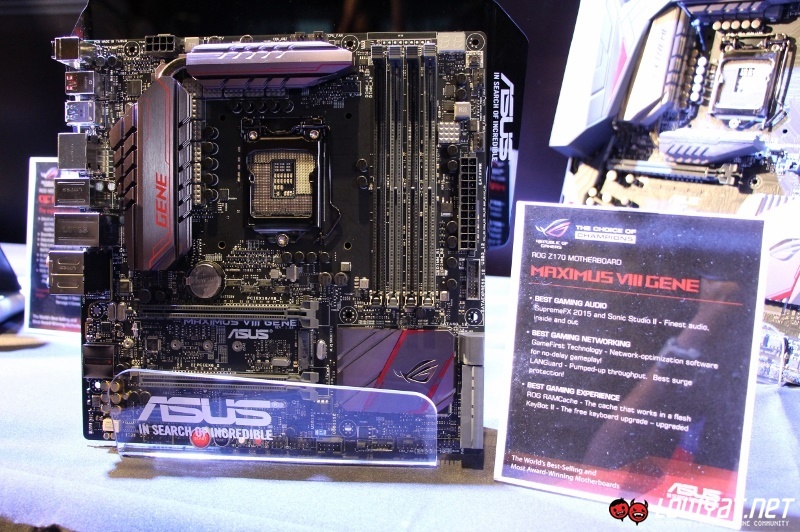 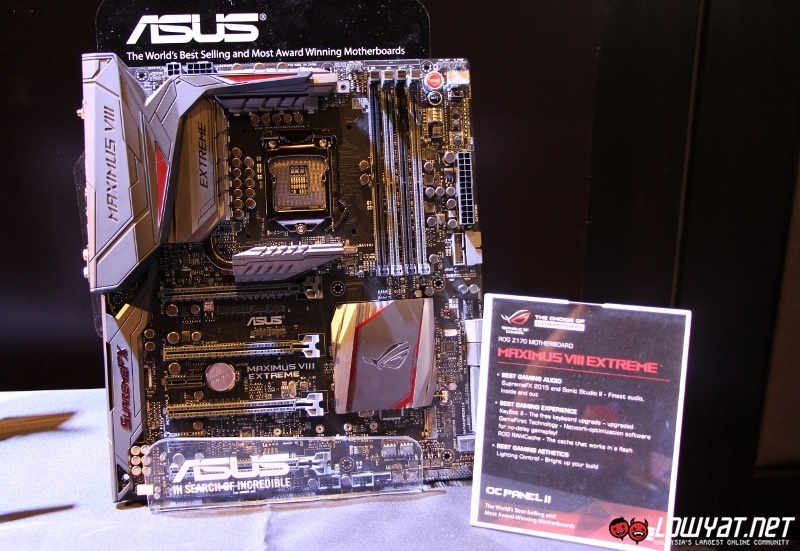 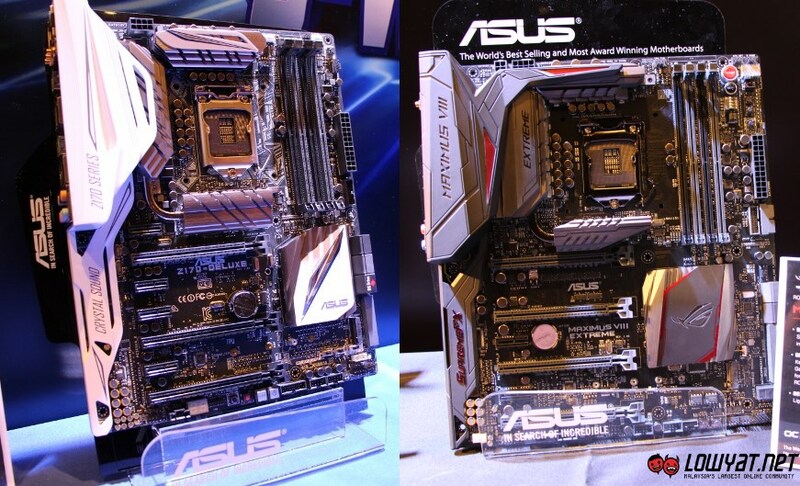 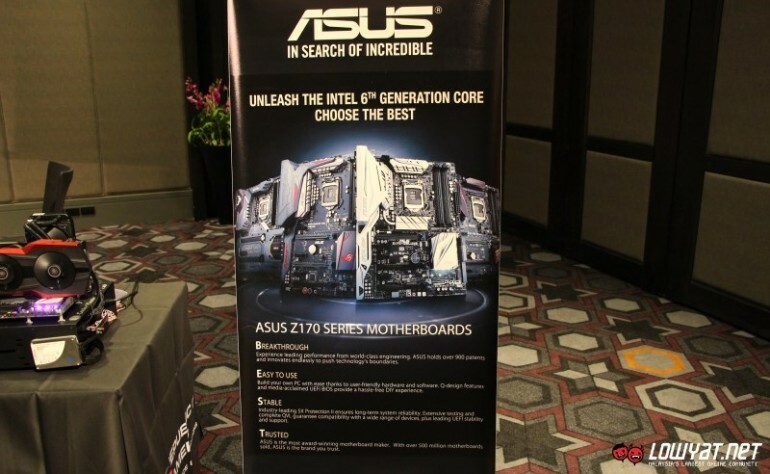 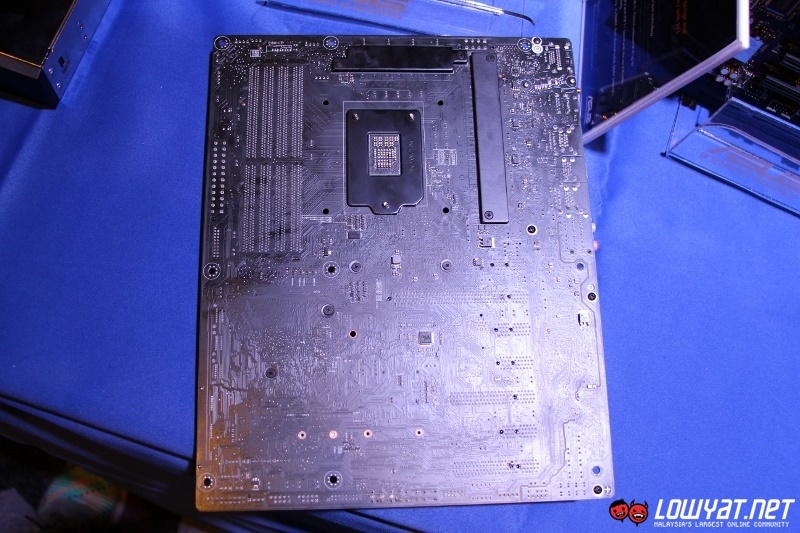 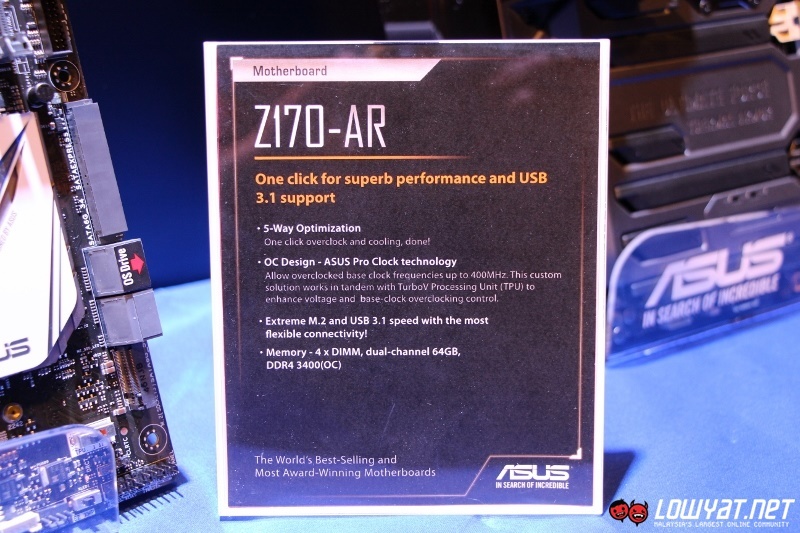 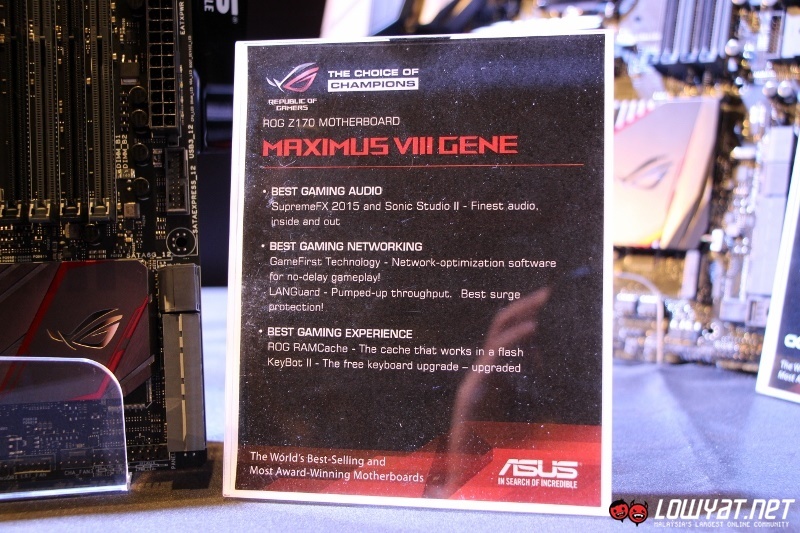 As expected, ASUS is one of the manufacturers that already prepared Z170-based motherboards for consumers to get their hands on and we managed to get a sneak preview of them during a regional media preview in Bangkok few weeks ago. 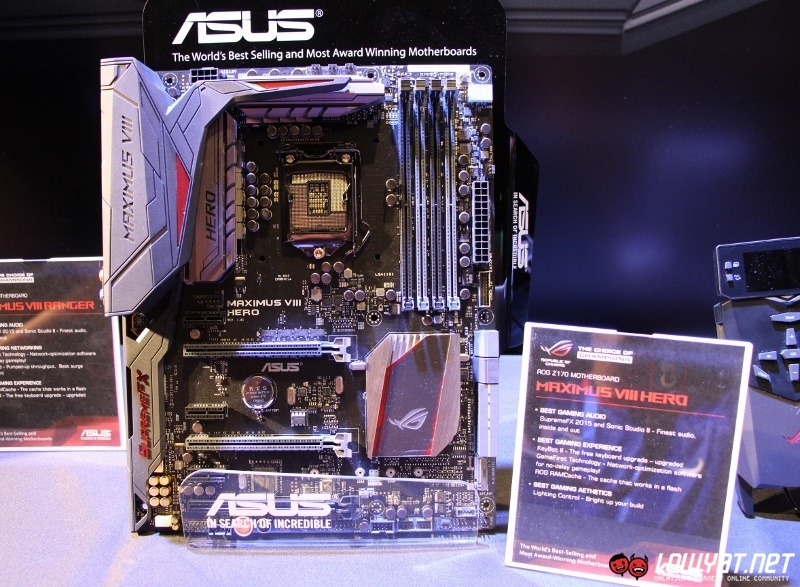 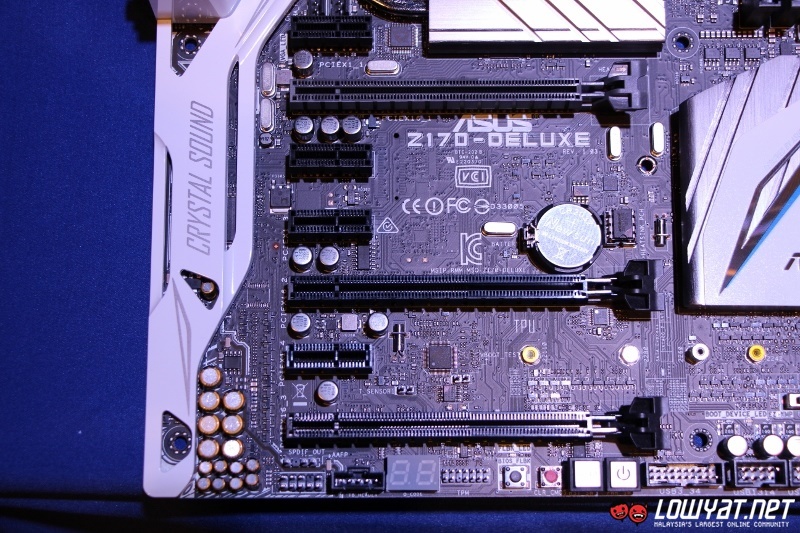 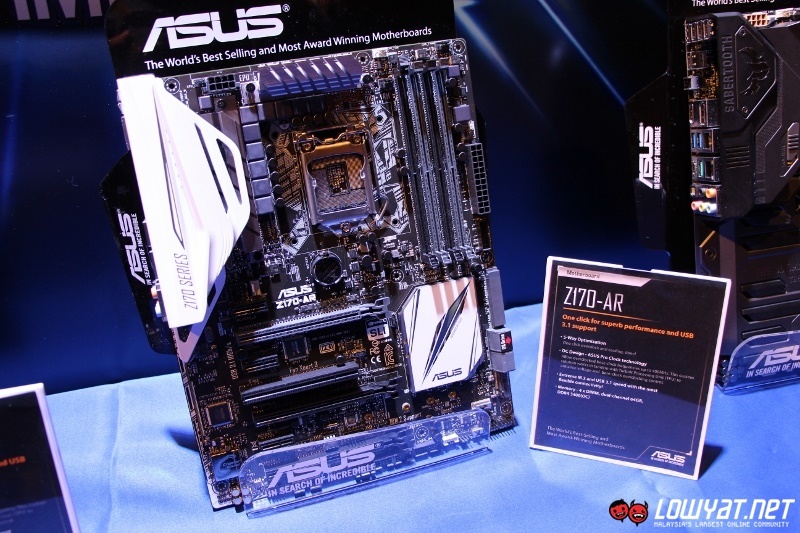 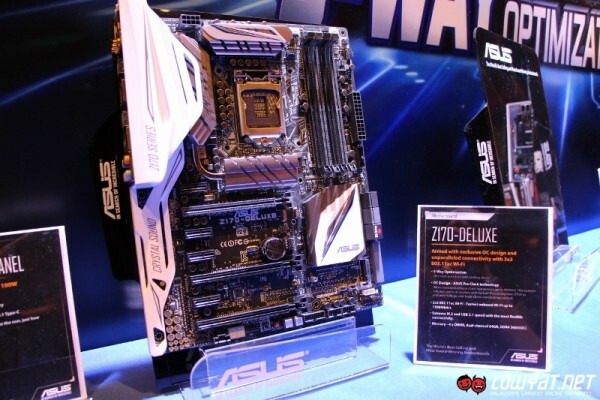 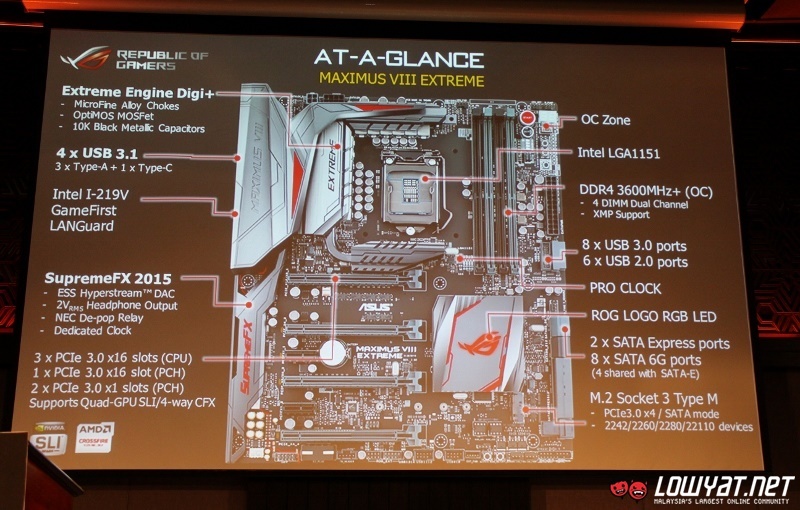 Leading ASUS Z170 assault in the Skylake era is the new Z170-Deluxe motherboard which has retained the same black and white colour scheme as well as the thermal armor design from some of the previously released ASUS X99 Series motherboards. 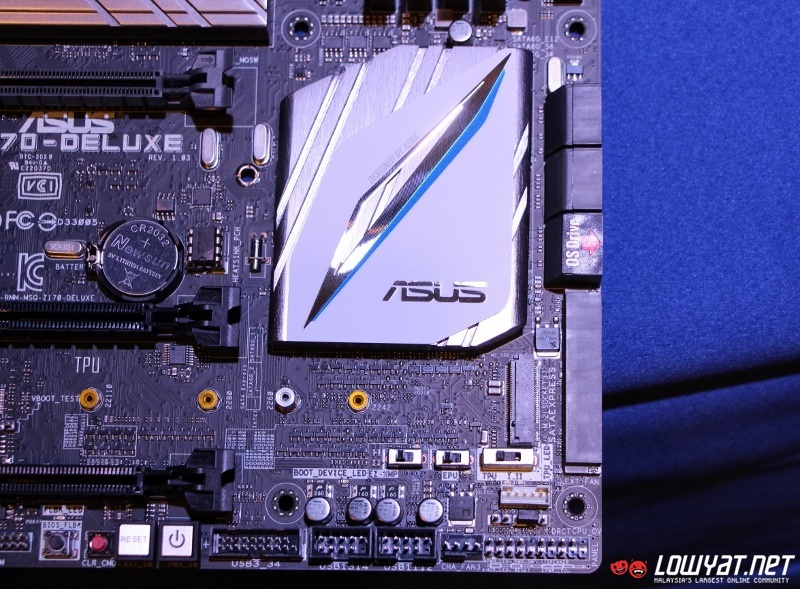 Just like the X99 Series, the Z170-Deluxe is built with overclocking in mind with the help of ASUS Pro Clock technology and 5-way OC optimization. 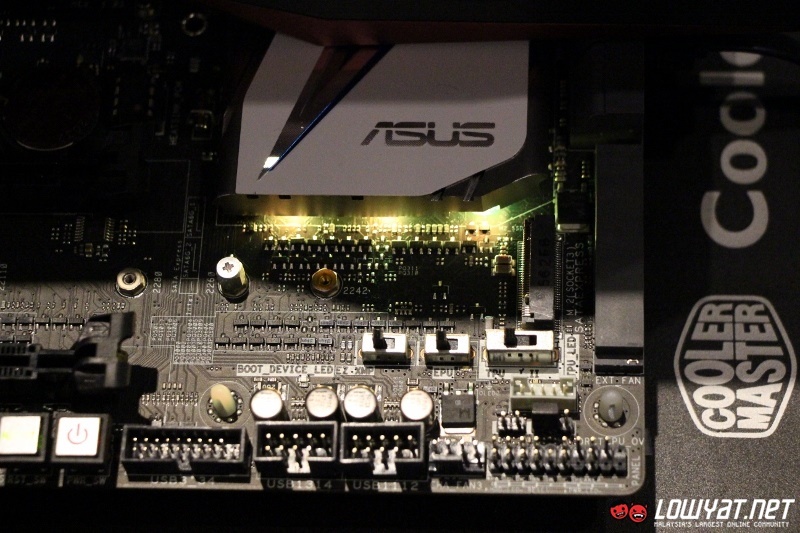 Interestingly, ASUS decided to put LED array underneath the heatsink of the motherboard’s chipset which can be customized through a software that will be included together with the motherboard. 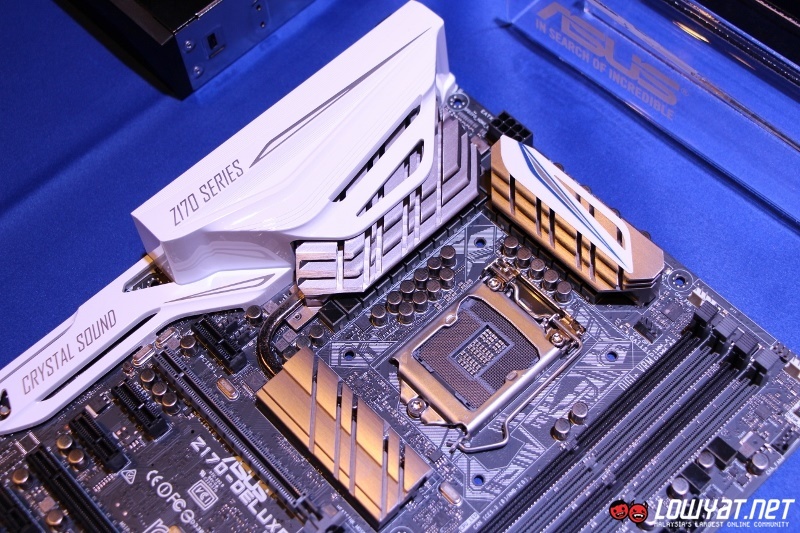 Built with four DDR4 DIMM slots, the Z170-Deluxe is able to support up to 64 GB of dual-channel RAM at the maximum speed of 3,400 MHz. 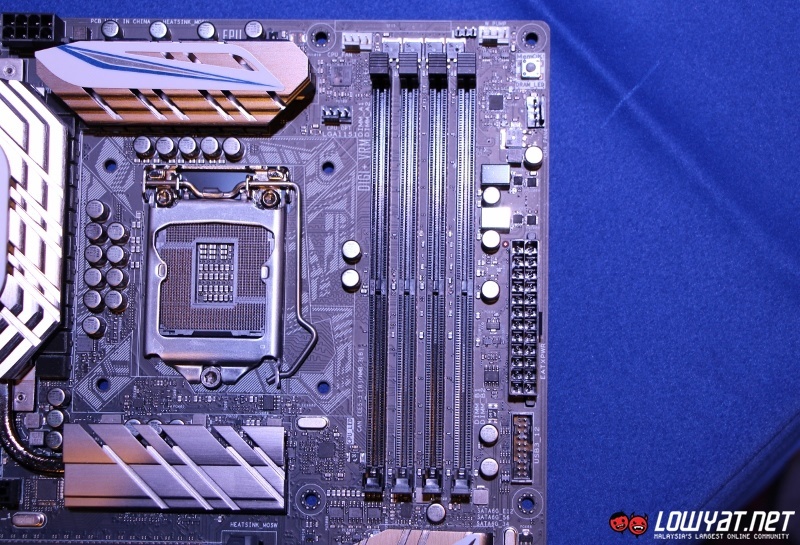 Additionally, the motherboard also contains 8 SATA III 6GB/s ports together with single SATA Express 16 GB/s and M.2 slot. 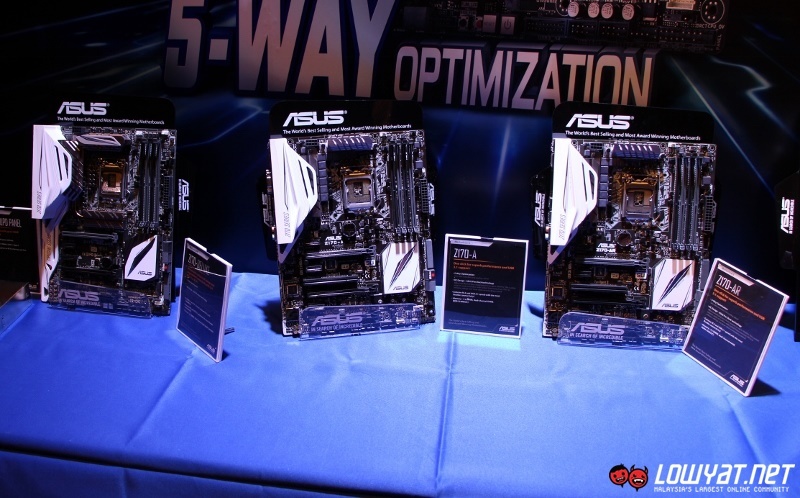 Not to forget, it is also equipped with three full length PCIe 3.0 x16 and four PCIe 3.0 x1 slots. 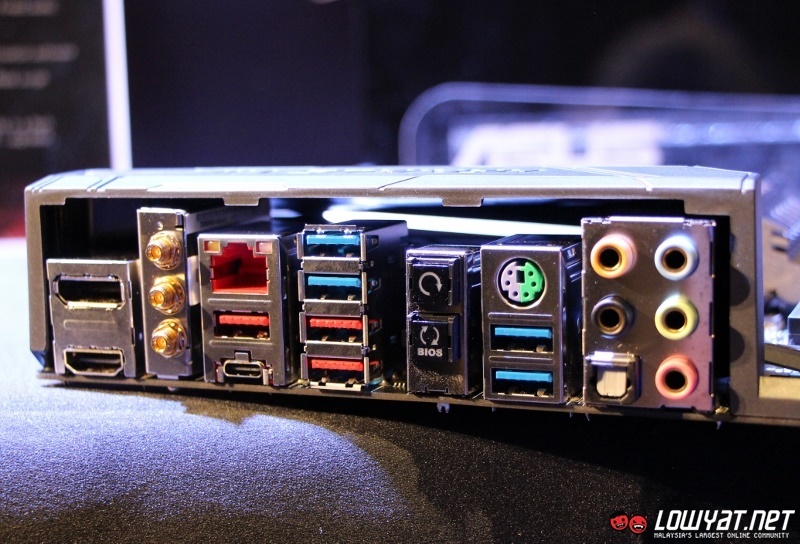 As for rear I/O ports, the Z170-Deluxe offers five USB 3.1 Type-A, one USB 3.1 Type-C, one USB 3.0, one USB 2.0, two RJ-45 Ethernet, one HDMI, and one Display Port together with one optical S/PDIF output and a set of 6-channel audio jacks for its integrated Crystal Sound 3 audio controller. Since the motherboard comes with built-in 802.11ac Wi-Fi connectivity, there are also 3×3 external antenna connectors on its rear I/O section. 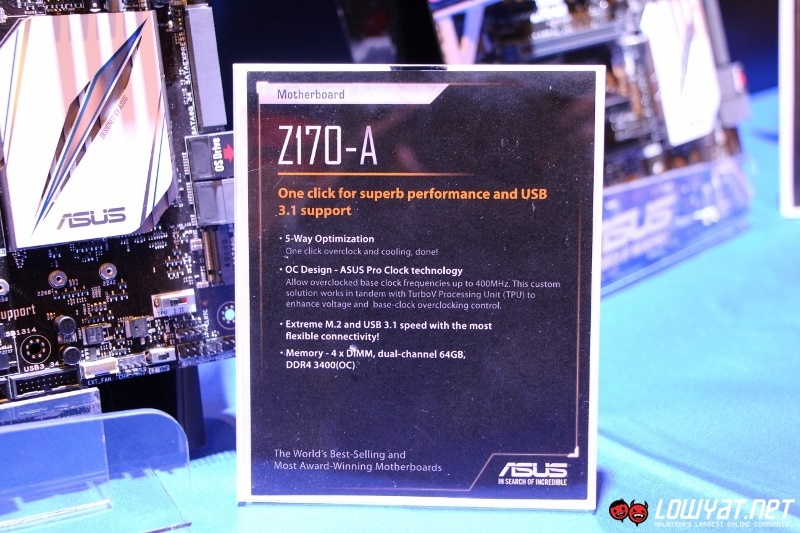 Alongside the Z170-Deluxe, ASUS will also be releasing Z170-A and Z170-AR motherboards into the market. As if the name Republic of Gamers (ROG) is not obvious enough, the ROG Maximus VIII Z170 motherboards are indeed designed for gaming as well as overclocking. 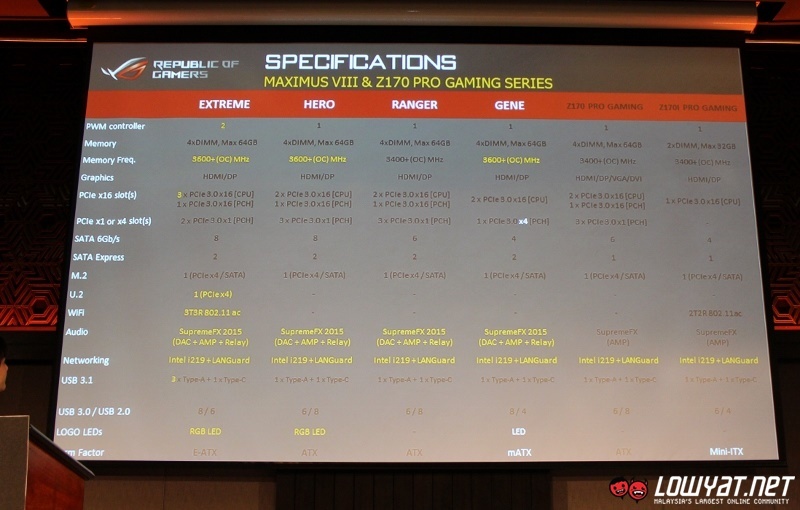 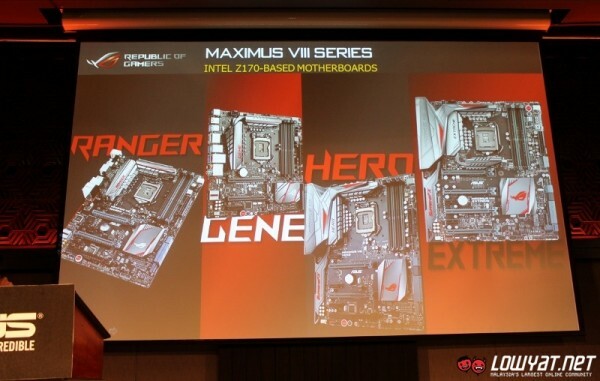 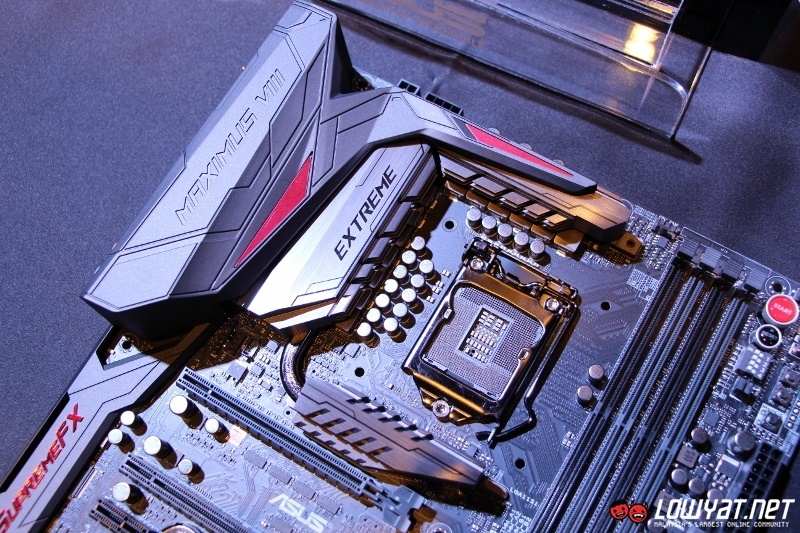 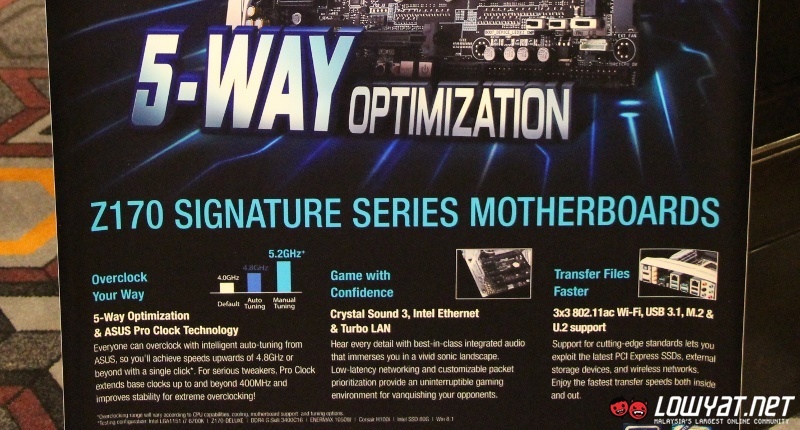 Within the series, there are four Z170 motherboards in total (at the moment, that is) which is led by Extreme and followed by Hero and Ranger as well as Gene which is a mATX model. 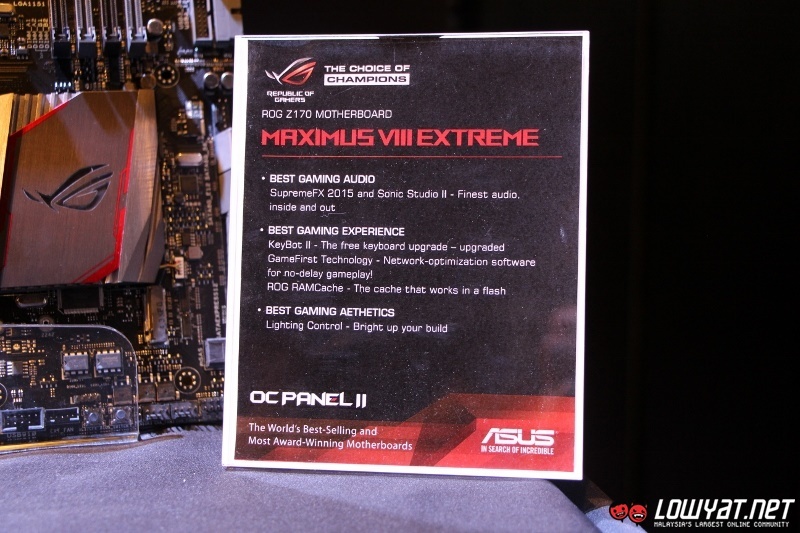 As the lead model, the Maximus VIII Extreme comes with plenty of goodies. 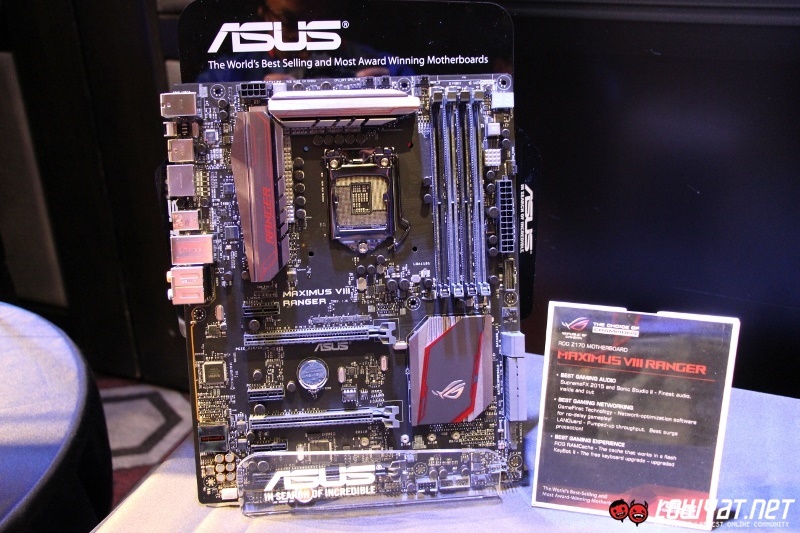 Equipped with overclock-friendly features such as ASUS Pro Clock technology, 5-way OC optimization, 2nd generation T-Topology and high quality components within its digital power controller, the motherboard also supports up to 64 GB worth of dual-channel DDR4 RAM at a maximum speed of 3,733 MHz through its four DIMM slots . 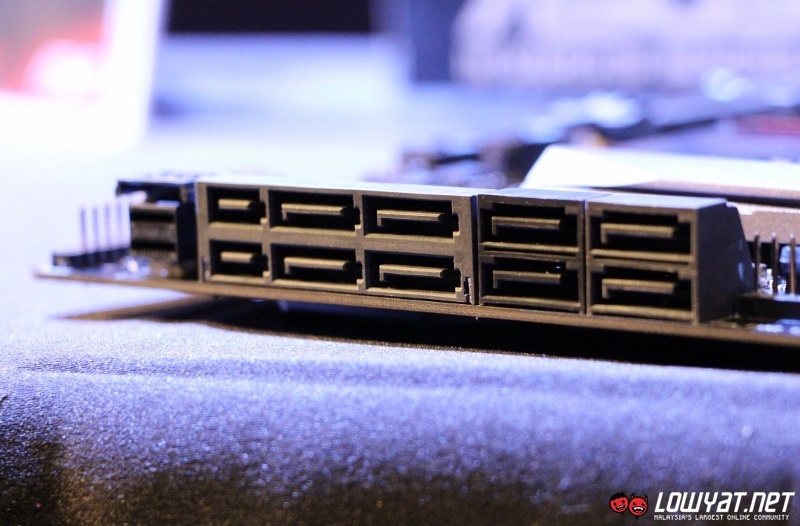 It also contains four PCIe 3.0 x16 which opens up the possibility to have four-way SLI or Crossfire graphics card setup, alongside two PCIe 3.0 x1 slots. 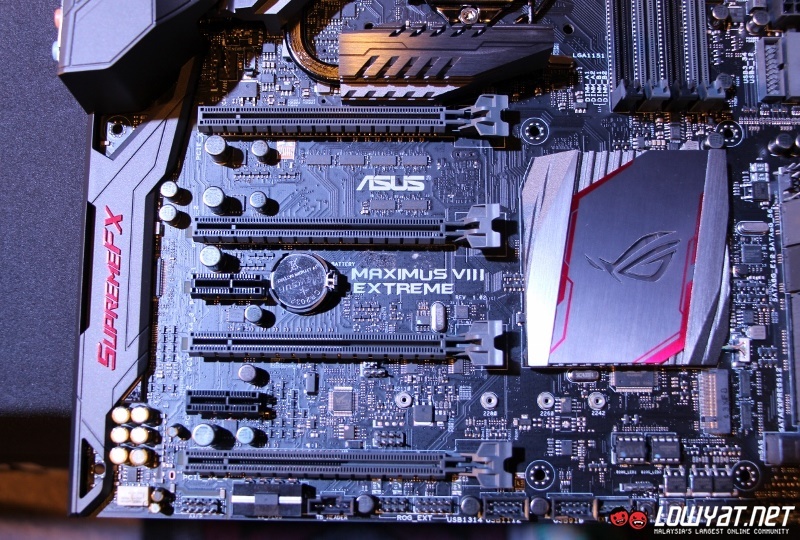 The Maximus VIII Extreme also comes standard with two SATA Express 16Gb/s and eight SATA III 6Gb/s ports although four of the SATA III ports are actually used for SATA Express as well. 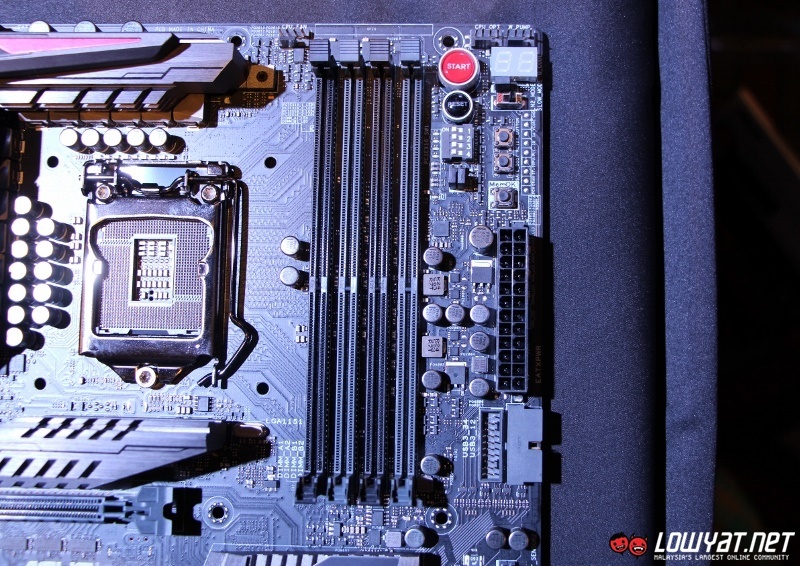 Additionally, there’s also a M.2 slot and a U.2 connector on the motherboard. 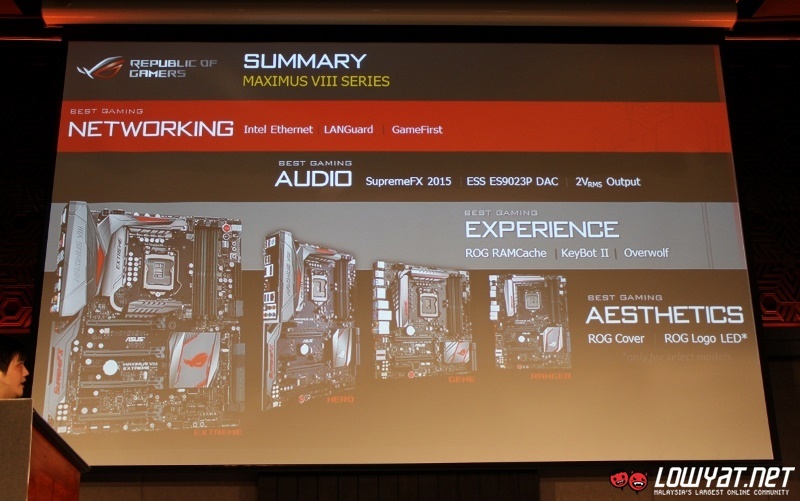 To ensure the quality of sound that is delivered from Maximus VIII Extreme, the motherboard depends on 2015 version of SupremeFX integrated sound setup which include several new components such as ESS ES9023P DAC chip, RC4580 headphone amp, Nichicon capacitors and many more. 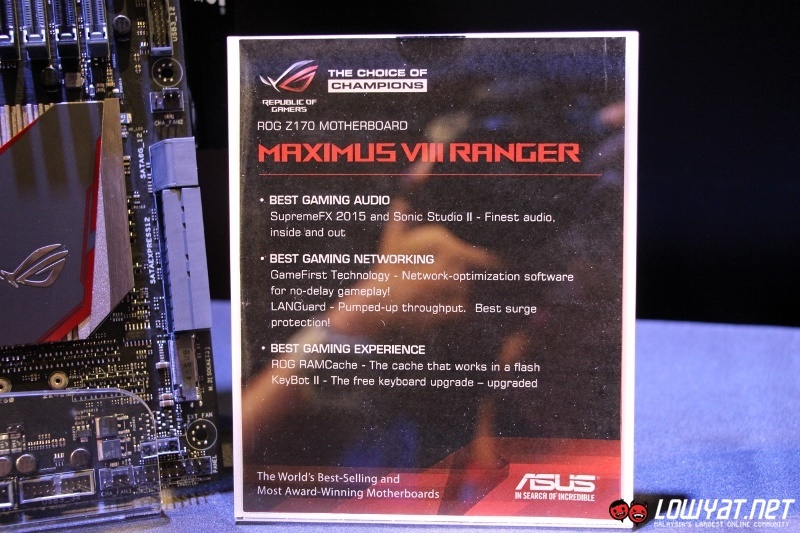 Maximus VIII Extreme also depends on Intel I219-V Ethernet controller to deliver Gigabit connection to users, in addition to static and surge protector circuitry called LANGuard within the motherboard’s LAN port. 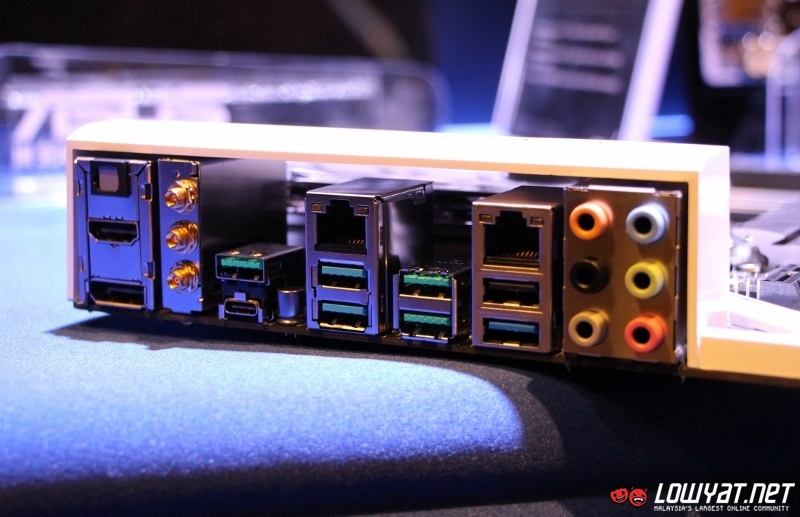 As for other I/O ports on its rear, the motherboard offers one Display Port, one HDMI, three USB 3.1 Type-A, one Type-C with support for DP Alternate Mode, four USB 3.0, one PS/2 combo port, one optical S/PDIF output, and five audio jacks. 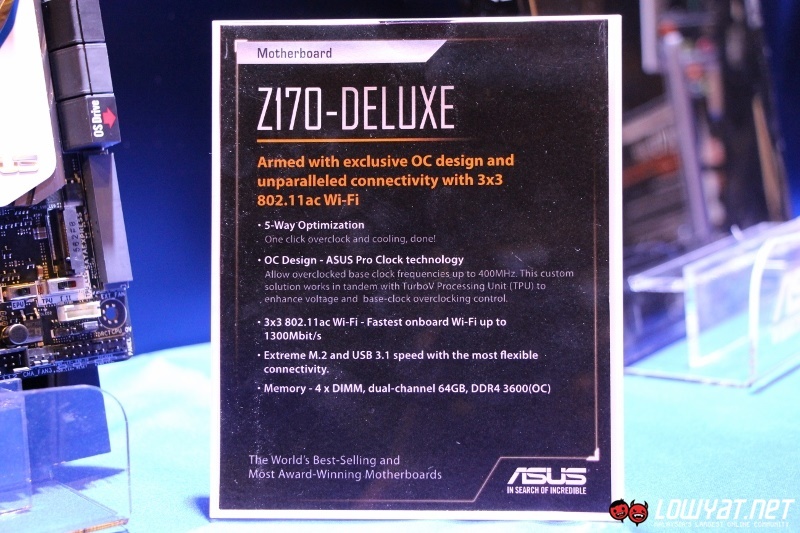 Also present over there are USB BIOS Flashback and CMOS reset buttons together with the 3×3 antenna connectors for the motherboard’s integrated 802.11ac Wi-Fi. 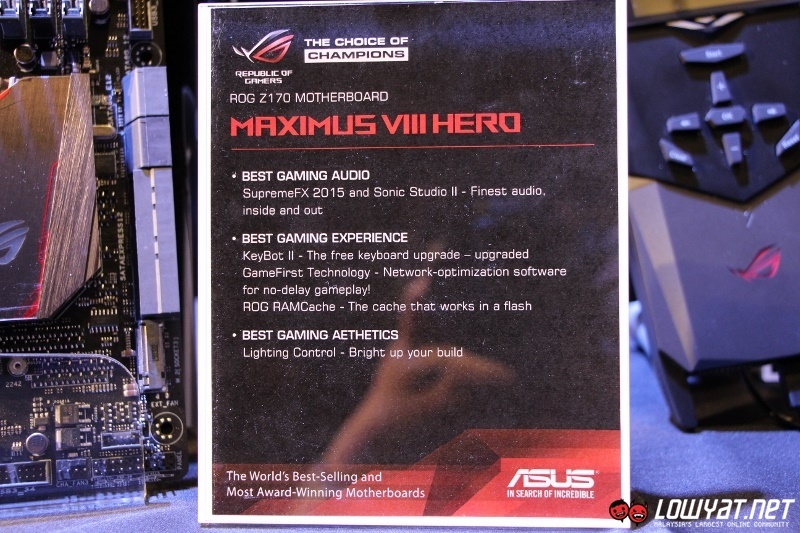 Just like the Z170-Deluxe that we mentioned previously, the heatsink on Maximus VIII is also equipped with LED that can be customized through a software that comes together with the motherboard. 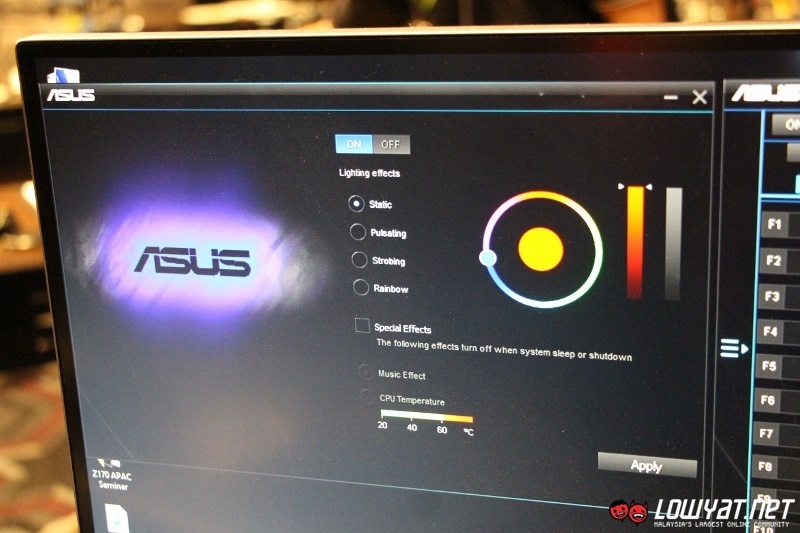 Similarly, users can choose to have it static or animated as well as in tune with their music or CPU temperature. 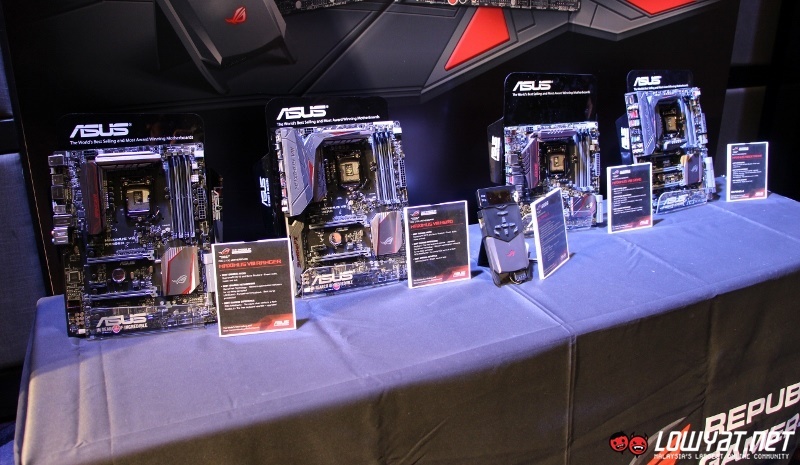 We still have more to come as these are just half of what ASUS has showed us at its Z170 preview event. 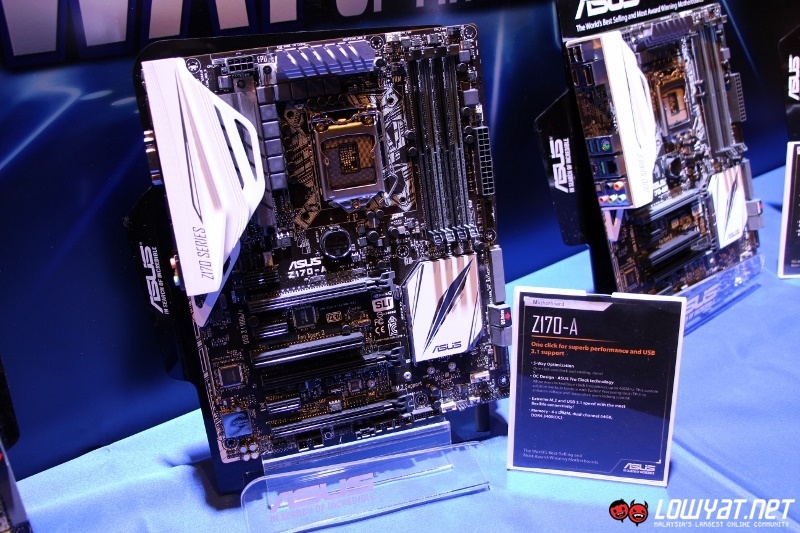 Stay tuned for another quick look on the other two ASUS Z170 motherboard series – TUF and Pro Gaming – in subsequent post.